The Ukrainian Crisis is far from over and confrontation between the West and Russia seems to be inevitable, albeit after September. The Kyiv Post illustrates the ballot in Crimea where there is no actual spot to vote against joining Russia. Voters in Russian-occupied Crimea in the March 16 referendum have only two choices – join Russia immediately or declare independence and then join Russia. There is no opportunity to vote for the unification of Ukraine. Our sources are reporting a growing desire to stay with Ukraine. This is surprising and nobody expected that. 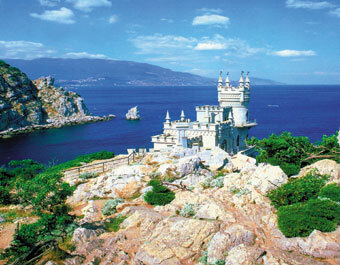 Putin is determined to keep Crimea at the very least. It is a matter of national pride to him and to the war-monger in Washington that simply see them against us, nobody seems to understand why Russia is still the enemy since Communism collapsed. Just what everyone is going to be fighting for precisely remains a mystery.